Only 2.99 or FREE IN KINDLE UNLIMITED! Em Shotwell is a Mississippi native turned Louisiana local who writes about misfits and the people who love them. 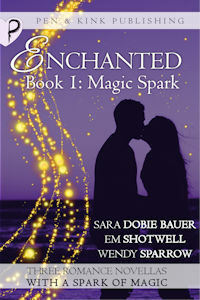 You can visit her online at www.emshotwell.com, or on Facebook at www.facebook.com/emshotwellauthor. 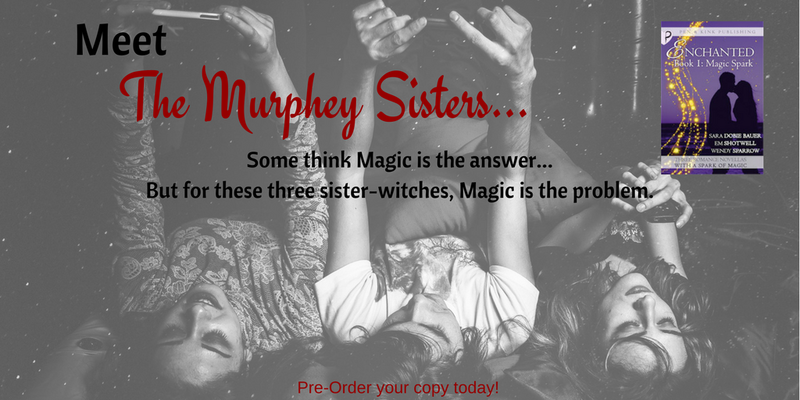 If there is one constant in my writing that I have noticed, it is that I always end up writing sisters. Maybe this is because I come from a very female-centric family with two sisters of my own as well as more than a few girl cousins. I believe that the relationship between sisters is one of the most complex dynamics that exist. You can love your sister fiercely, but grow up in constant competition. The same person, your sister, who you will always protect can be the same person who drives you bonkers. My husband grew up with brothers, and while it has its own original dynamic, I don’t find it as intricate. He and his two brothers are straightforward. When they are mad, they are mad. When they are happy, they are happy. Their feelings are often complicated, but the relationship isn’t. No, there is no other relationship like sisterhood, which means there are many threads for this writer to tug when crafting a female sibling group. Tallulah and Delia in BLACKBIRD SUMMER are different from Milly and Francis in WORN OUT WISHES. Evelyn and her sisters in FORGET ME NOT have a very unique bond. The oddest sisters of all, however, are my Marchland family from THESE ROOTS RUN DEEP, THIS HOLLOW HEART, and THESE RESTING BONES. They are a tangle of trust issues and defensiveness, wearing chips on their shoulders like badges of honor, and they love each other fiercely. Let’s meet them. Cheyanne is the oldest. She over-compensates for her shaky confidence by being the best at everything—the prettiest woman in the room, the smartest at the table, and the fiercest at work. Cheyanne has always been the protector and the leader of her sisters, a role which held over from a rough childhood on into adulthood. She has pulled herself up from the trailer park to become New Orleans’s own top weather girl, and when she finds out her fiancé may be cheating, her sisters put aside their opinions of the good-for-nothing man and do what Cheyanne asks. Of course, Cheyanne has never had an eye for detail. And if one thing is true—it is that magic requires an eye for detail… And maybe there are more to those live oaks you see around the parks of New Orleans than meets the eye. Middle sister. Soft spoken. Kind. Marchland does her best to do no harm, an easy going vegetarian who never raises her voice. But she looks outwardly to fill the dullness that plagues her heart. When tattoo artist Marchland needs help casting a spell to keep an obsessed man at bay, of course her sisters help her out. But magic knows intent and can read the message of your heart…so what happens when your heart is hollow? Youngest sister. College student. Bradley does her best to slip by under the radar, never making waves, her sharp tongue and sullen nature is her defense against the world. Poor Bradley. Killing a man in self-defense is still killing and killing is scary…scary enough to cause a witch to panic and bring a person back from the dead. There is a reason necromancy is forbidden, and Bradley soon learns that every spell has a price. And every price must be paid.